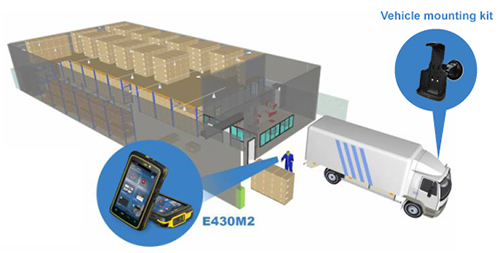 Winmate Handheld devices address a very specific need which is providing a rugged, reliable Barcode or RFID reader equipped computing device for warehouse and logistic application. The advent of Radio Frequency Identification (RFID) or Barcode technology has created benefits for warehouse and logistic. These technologies allow users to trace their product items across the supply chain and it will make their supply chains become effective, efficient and error free. This tobacco factory aims to replace their traditional way of data logging of shipments, which is by counting the deliverables manually and have someone to key in the data into the system. They want to use device with barcode scanners in the factory that can immediately identify and track products before the shipment and also on the arrival. With this new barcode technology implementation, human error is avoid during the shipment, allowing their staffs to easy to identify the correct products, track all products movement, and also ensure everything arrive at the right place. 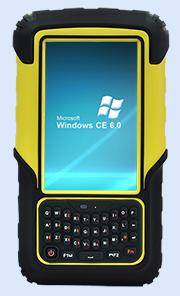 Winmate Industrial PDA provides IP65 protection that can withstand harsh environment; and is drop resistant, which ensure there is no business interrupt and data loss due to damage to tracking devices. Designed to handle shocks and vibration when it is mounted inside the vehicle. 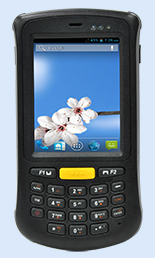 Equipped with high performance 2D laser barcode scanner.